/ Why Put Your Book in Audio Format? Why Put Your Book in Audio Format? When you first started self-publishing, it likely seemed like a ton of work you’d never be able to accomplish yourself. Whether you have one book on Amazon or two dozen on a variety of e-retailers, you’ve learned that self-publishing wasn’t quite as hard as you thought. While marketing those books may remain a challenge, you’re more likely to get a return if you have more products out there. Getting your books in audio format gives you one more product for each book you have on the market. Audiobook production may seem even more daunting than digital self-publishing ever did. You’ll need to learn some new terminology and you’ll have to figure out a whole new process, so you might be wondering if the whole audio enterprise is worth it. To keep things simple, let’s just say that audio is the future of publishing and we’re nowhere close to reaching the tipping point. It’s tough to believe statistics unless everybody is saying the same thing. While the Association of American Publishers says that ebooks are on the decline, indie sources like the Author Earnings report express the exact opposite. But if there’s one thing the studies agree on it’s the growth of the audiobook industry. According to AAP, sales of audiobooks rose 26.2 percent in 2013 and an additional 28 percent in 2014, and there’s no indication the trend will reverse itself. One of the reasons for the growth of audio is significant improvement in technology. Audiobooks no longer require packs of 10 to 20 CDs or cassette tapes. You can easily download a single file through iTunes or Amazon to your iBooks or Audible apps. Audiophiles can also listen to their books on the go or in the car thanks to Apple CarPlay. As the technology continues getting better, audio sales will rise without an end in sight. We’re big fans of Joanna Penn here at Author Marketing Institute, and if you’re familiar with her podcast, then you know the importance she places on multiple streams of income. When you’ve finished a novel or a non-fiction book, you may think that book only grants you one possible way to make money. In reality, that one book provides you many potential paths to passive income. When you put your book on multiple sales platforms, it’s like getting a new stream of revenue for each retailer. Sure, your revenue for Google Play or Nook Press probably won’t equal your earnings from Amazon, but things can really add up when you bring multiple books into the mix. Beyond other retailers, you can get your work translated into other languages which multiplies your potential revenue streams by each language you use for translation. Audiobooks allow you to create revenue streams on Amazon, iTunes, and Audible that you wouldn’t have had otherwise. Multiply those streams by the number of books you have and the numbers really work in your favor. When you post your ebook on Amazon, you may feel as though you have access to nearly all the reading customers in the whole wide world. That’s not exactly true though because there’s a significant minority of readers who only read by consuming audiobooks. Even if the number is relatively small compared to paperback or ebook readers, audiobook buyers tend to spend more on books and they devour them using apps on their mobile devices. Missing out on these readers could cause you to neglect connecting with true fans who want to hear your words brought to life. There really is nothing like a true superfan. These die hard supporters have bought all of your books and they’re willing to do all they can to help you in your author journey. Many readers like having the option of switching back and forth between audio and ebooks (some of them using Amazon’s Whispersync feature). By getting your book out in audio, you give yourself the chance of getting more money per fan while delivering even greater value to the people who care about your work the most. 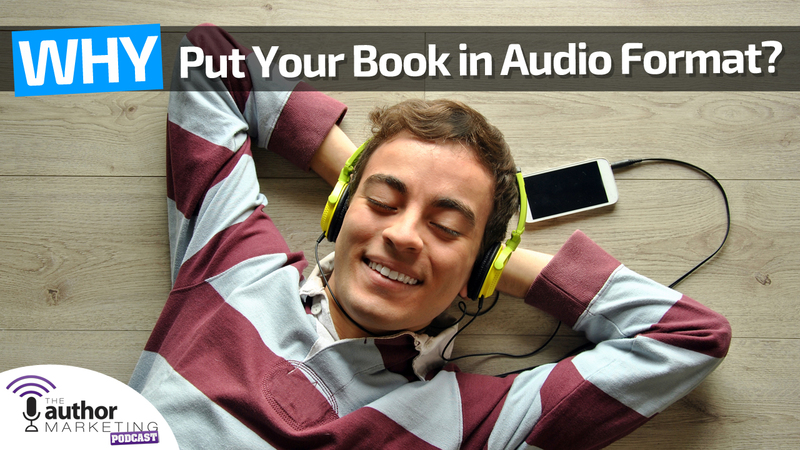 Creating audiobooks will be a challenge at first, but if you figured out how to create ebooks than you definitely have the necessary skill set to learn audio production as well. We’re not even close to reaching the sales potential of audiobooks. Why wait until everybody else knows about this amazing opportunity? Get started now to receive higher earnings and find more revenue. The publishing industry wants to tell you something, and it’s about time you listened.